I was surprised. Everything I’d heard led me to believe the convention center was losing money. Was I wrong? Were they actually making a profit and ready to expand? One of the things about city-owned property is that you can usually find some financials, so I started digging around the City of Raleigh’s government website, and I found the Comprehensive Annual Financial Report. This is a document sure to cure insomnia — literally hundreds of pages of financial reports and spreadsheets. But there’s a lot of good, hard information in there. The Convention Center is part of the larger Convention Center and Performing Arts Complex, which includes the Duke Energy Center for the Performing Arts, and the Red Hat Amphitheater. This means that some of the numbers cover the whole complex, not just the Convention Center itself, making it a little difficult to isolate just the Convention Center numbers the way I’d like. But here’s what I did find. 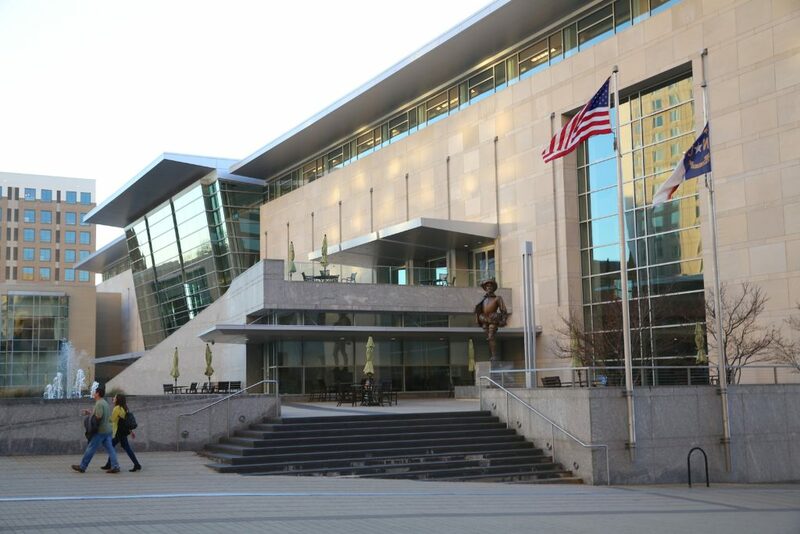 According to the City of Raleigh’s own accounts, the revenue from user charges at the Convention Center totaled just more than $6 million last year. Expenses were a little more than $8 million. That means revenues only covered three-quarters of expenses last year. And if we look at that whole Convention Center and Performing Arts Complex? Well, the picture is similar, with total user charges of a little less than $14 million and expenditures of more than $17 million. That’s before we factor in the debt service for the complex, which ran to $25.5 million last year. The whole operation is deeply in the hole. Enter the taxpayers. The Convention Center is surviving because Wake County taxpayers are subsidizing it (so if you live in Wake County, thanks, or maybe more appropriately, I’m sorry). We’re not talking about a small grant to help make ends meet. No, we’re talking tens of millions of dollars. The Convention Center Financing Fund alone contributed almost $20 million last year. That’s a fund of occupancy and food taxes from around the county, so every time you go out to eat you’re putting a little bit into the $20 million pot that props up the Convention Center. If it was a private business, the Convention Center wouldn’t be looking to expand. Quite the opposite. It would be trying to figure out how to generate more revenue or trim costs so that it could avoid imminent bankruptcy. It would be in absolute crisis mode. And all that demand Doug Grissom talks about? Well, it’s generated by offering deep discounts. Wake County taxpayers hand the Convention Center a huge pot of cash that it can then use to give away hotel rooms, or food, or conference space for free to the businesses, trade associations, and various other groups that use the Convention Center. You and I pay more every time we go out to eat so that some big corporation hosting a convention can pay less. That doesn’t seem to me like a very good deal. More Convention Center space would only increase the amount of those subsidies. Rather than talking about expansion, the Convention Center should work on figuring out how to stand on its own two feet. The taxpayers have propped it up for long enough.